JFK meets with the British Admiral of the Fleet, the Earl Mountbatten, in the Oval Office to discuss plans for a NATO multilateral force and supplying the British with Polaris submarines. 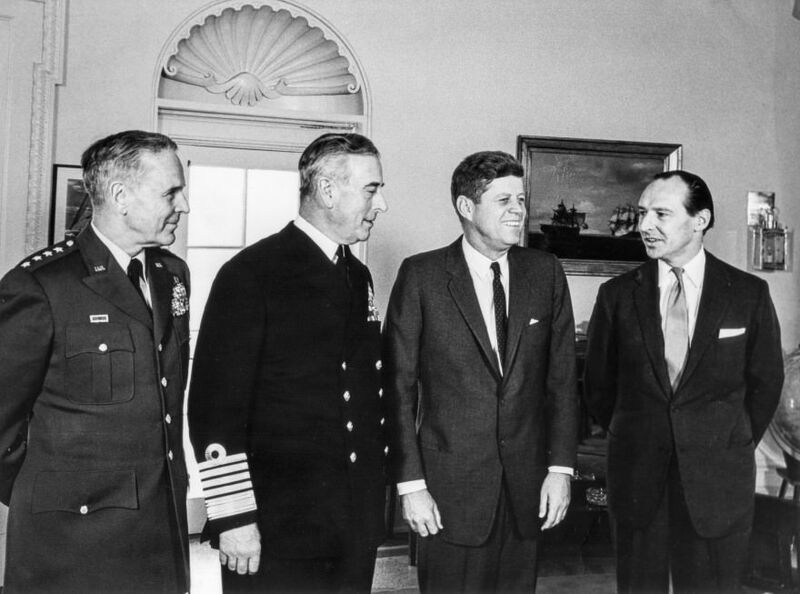 In the wake of the Nassau Conference in December 1962 and the agreement reached there between President Kennedy and British Prime Minister Harold Macmillan to provide the British with Polaris submarines and missiles as well as to create a NATO multilateral force, the British Admiral of the Fleet, the Earl of Mountbatten, visited Washington for talks on how to implement it. Most of his meetings were at the Pentagon, but he also stopped by the Oval Office to meet with JFK on February 6. President John F. Kennedy meets with the The Earl Mountbatten (Admiral of the Fleet), accompanied by Chairman of the Joint Chiefs of Staff General Maxwell Taylor and British Ambassador to the United States Sir David Ormsby-Gore in the Oval Office of the White House on February 6, 1963. 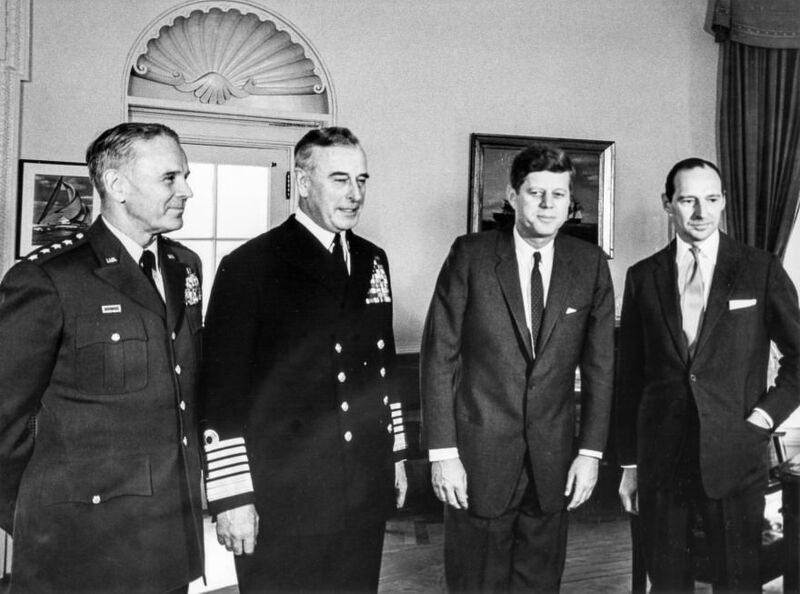 Left to right:: General Maxwell Taylor (Chairman of the Joint Chiefs of Staff); The Earl Mountbatten (Admiral of the Fleet); JFK; Sir David Ormsby-Gore (British Ambassador to the United States). Photo by Abbie Rowe / National Archives.